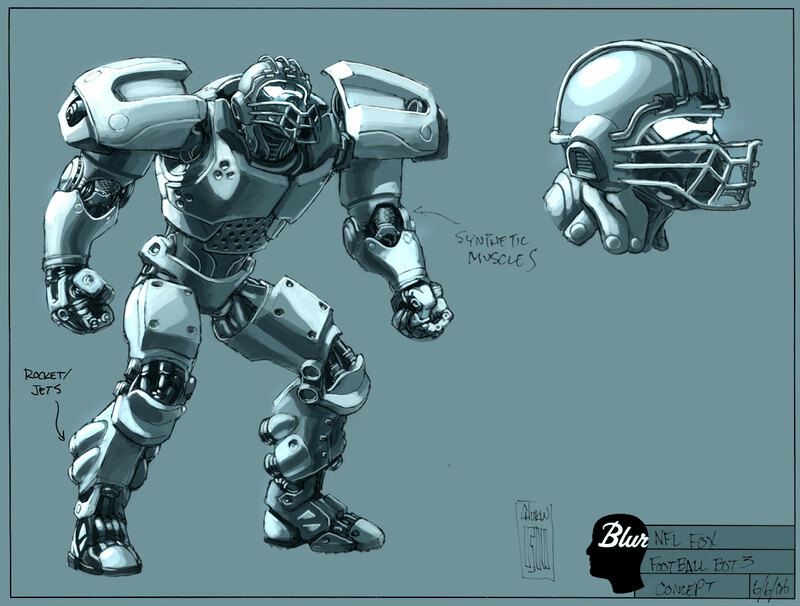 When we got the NFL on FOX job we submitted a bunch of new designs for the gridiron robots. While we eventually reworrked the existing design, Fox liked this guy so much they coughed up for a second model to go toe-to-toe with the hero. Sweet!